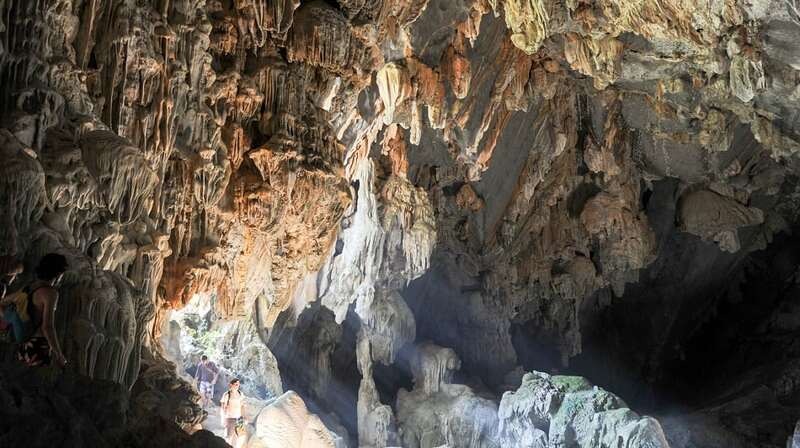 Tham Phu Kham cave is found via a hiking trail on a forested hill about halfway up a limestone cliff. The 656 feet high climb is quite steep at places; the trail has handrails at the steepest sections. The cave is a maze of chambers, galleries and crevices filled with stalagmites and stalactites with cold, moist air.